Should you top up breast milk with formula? A recent study claims that 'topping up' with a small amount of formula can increase the length of time babies are breastfed. The US study found that when underweight newborns were given both formula milk and breast milk immediately after delivery, 79 per cent of their mums were still breastfeeding at three months. Of those babies who were initially only having their mum's milk, just 42 per cent were still being nursed at the same age. The findings suggest that if mums are able to supplement their feeding routine with formula, they are more likely to persevere with breastfeeding. So, to top up or not to top up? 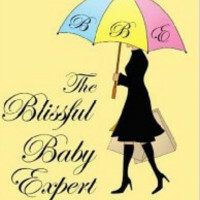 YES says Lisa Clegg, maternity nurse and author of The Blissful Baby Expert (Amazon), Theblissfulbabyexpert.co.uk. 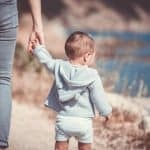 "Although breastfeeding and the amount of milk a mum produces is usually based on a supply and demand basis, I've found this is not always the case and sometimes formula top-ups are needed. "I've worked with some mums who can be sitting breastfeeding for an hour or more, and their baby is still crying with hunger afterwards. In these scenarios the mum is producing some milk but just not enough to satisfy the baby's hunger fully, so I encourage them to offer a formula top-up after a full breastfeed. "It may be that a formula top-up is only needed after one or two feeds. In offering these top-ups, the baby will feel more satisfied and so will the mother. One of the biggest worries that a breastfeeding mum has is that their baby may not be getting enough. Most of the time these fears can be reassured by the fact that the baby is having lots of wet nappies, feeds well, seems satisfied after a breastfeed and is happy between feeds. 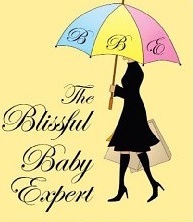 Written by Lisa Clegg, author of the recently published book 'The Blissful Baby Expert'. 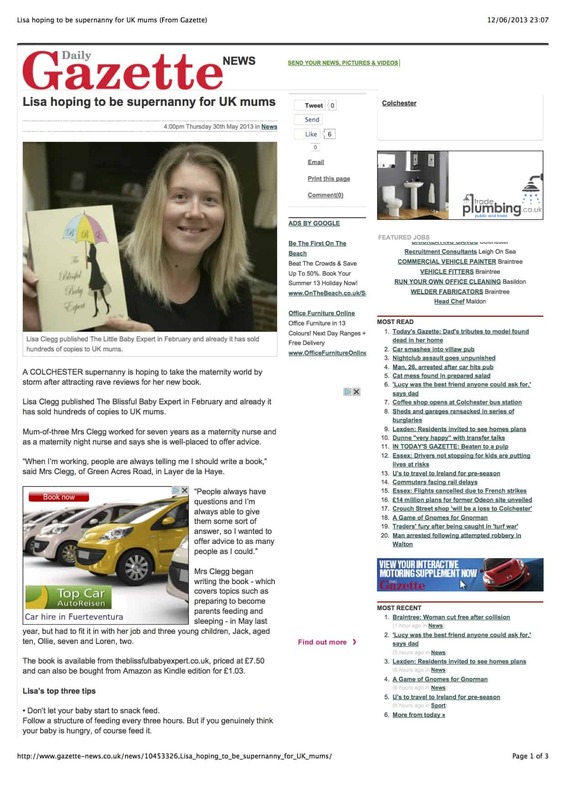 Q:Lisa, after years of being a maternity nurse, what made you decide to write The Blissful Baby Expert? I have been wanting to write my book for a long time. So many mums that I have worked with have said to me ‘you should write a book!’ All of the things that I have learnt over the years working with hundreds of babies, as well as having my own 3 children have just been stored in my head, waiting for the right time to give each mum a certain piece of information. Mums kept on saying to me that I should put everything I have learnt in a book, because they would all love to have it to refer to, both while I am working with them and their babies, and also once it is time for me to move on to the next family. I have been so busy with work over the last couple of years and have had to frequently turn extra work down because there are just not enough hours in the day or days in the week for me to help as many people as I would like. I realised that if I could write down everything I have learnt in a book, then mums would be able to use it to implement the advice themselves without me physically needing to be there. I also then offer FREE email advice to any mum who needs it, so that they can ask me for extra advice. Q: You are like the baby whisperer, can you tell us what it was like to grow up and be around so many babies? I grew up the 4th eldest of 26 grandchildren, so I have been surrounded by babies and young children from a young age. I’ve always been particularly interested in small babies and I was always the one who volunteered to take any babies off my aunts and uncles hands at family get togethers and parties. I would happily feed them, change their nappies and walk them around for hours. Everyone said I had a natural instinct with babies and I just find them easy to understand. Q:Many of your raving reviews state that the book is easy to read and more of a companion that gives support rather then dictating directions. 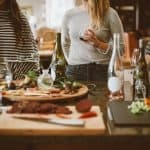 How important was it to you to connect personally with your audience? Very important. I love reading and for me a book has to grab my attention within the first chapter or so to make me continue to want to read it. I always get on very well with all of the mums that I work with, so I began writing the book as if I was just chatting to another mum who was asking me for my advice and opinion. I think its very easy for a mum to connect with another mum if they know the other person has been, or is going through a similar experience to them. So many parenting books are written by experts who have lots of experience professionally, but no personal experience with children of their own. It is not until you go through certain experiences yourself that you truly understand and can empathise with other parents. 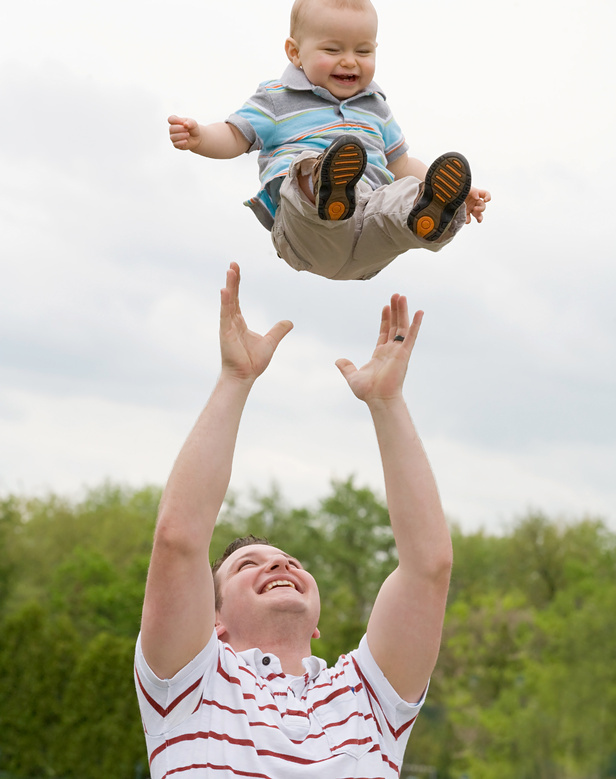 Q: What are some common misconceptions parents have about their newborn? Both of these are highly unlikely-the ability to sleep well is a gift that needs to be taught. Q: Your book is non judgemental when it comes to breast feeding verses formula feeding a baby. Why did you (unlike most books of your genre) give both sides of the feeding spectrum? The choice to breastfeed a baby is a completely personal choice for each mum. In my experience it is something that mums feel very strongly about doing or not doing. Caring for a baby should be a happy experience and if a mum clearly doesn’t wish to breastfeed then she should never be made to feel guilty about formula feeding, when she feels that is the right decision for her family circumstances. Q: How important is routine with a newborn for a new mom and dad? 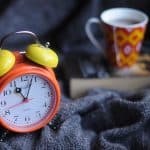 Establishing a routine can help you feel more in control of what is happening on a day to day basis and keep sleep deprivation to a minimum rather than becoming overwhelmed by it! A routine gives the main carer and the baby a daily structure, which makes life a lot easier and happier for everyone in the long run. The baby will be happier because she never gets a chance to become overtired and irritable, she will be fed regularly during the day, and will be getting the correct amount of stimulation. The parent, in turn, is happier because having a routine means other things can be planned to fit in around feed and sleep times. Achieving small things like having a shower, hanging some washing out, without feeling totally stressed out is not as easy if your baby is not in a routine. Most babies generally find their own routine eventually, but much later on when they are older. To get to that stage would have likely been a long haul of more sleep deprived nights and fractious days than are necessary. Babies simply don’t need to be so unhappy. Q: What made you originally decide to be a maternity nurse? I discovered the title of Nightly Maternity nurse by accident really after my 2nd baby was born. I was browsing through a well known childcare website in the UK and although I knew that some parents employed Maternity nurses to come and stay with them full time and live in after their baby is born, I didn’t realise it was possible to employ somebody purely to just do the nights-allowing them the crucial part of the day covered, so that they could get some sleep. Having just gone through the sleepless nights myself with my 2nd baby, I knew first hand how torturous it can be when you feel like you will never get a full nights sleep again. A good nights sleep means you feel like you can cope with anything during the day! I began to do the odd part time nightly contract and realised just how much I loved the experience. The hours that I worked also fit perfectly with our own childcare, as my husband was always home at night to look after our 2 children at the time. The rest, as they say, is history and has brought me to where I am today! Q: Your book is really “how to” and gives great advice on solving problems. Thebabyspot.ca loves how honest this book is to new and expecting parents. Why did you take the book in such a raw, honest approach? As parents I think life with a new baby is much easier if you go into it with your eyes wide open, and armed with as much information as possible. You need someone to advise you in a non judgemental way, but to be as honest as possible-even if that means that you hear things that may scare you. I think that the mums who have read my book so far are finding that my honesty means they can empathise with me even more-I’ve worked with hundreds of babies professionally, but on a personal level I have experienced the same struggles that they do with their own babies. Q: Our favourite section was on night feeding. How did you learn to give new moms tips on a more manageable night feeding time? The nights are intricately linked to the daytime feeding and sleep routine. I always advise mums that you need to establish a good daytime routine before you can even begin to work on the nights. I have learnt that from the many babies I have worked with as well as my own 3 very different babies. Q: We like that you promote your readers to be non –judgemental of each other. Why do you think so many mothers are in competition with each other? For the majority of parents from the day their baby is born, they look down at them and think they are the most beautiful, incredible baby that has ever been created-better than their best friends baby(no matter how cute he/she is), and far more wonderful than their nieces or nephews(no matter how much they love them). It is a natural parental reaction to compare their baby/child with every other baby of the same age from that moment onwards. Even if you don’t compare verbally, mentally you will be doing it, everytime a friend or relative tells of their own babies achievement. It’s human nature to make these comparisons as we all want the best for our children and want them to be happy in life and reach their full potential. Although this is normal, I do always stress to the mums that I work with and the readers of my book that all babies are individuals and will all reach the developmental milestones at different ages-patience and perseverance means they usually all get there eventually. You can buy Lisa’s book on Amazon. How can your North American readers buy this very important book? You do not need a KINDLE. As long as you download the kindle app to any APPLE device, Android, laptop MAC or PC, then Amazon will deliver the book to your device wirelessly.